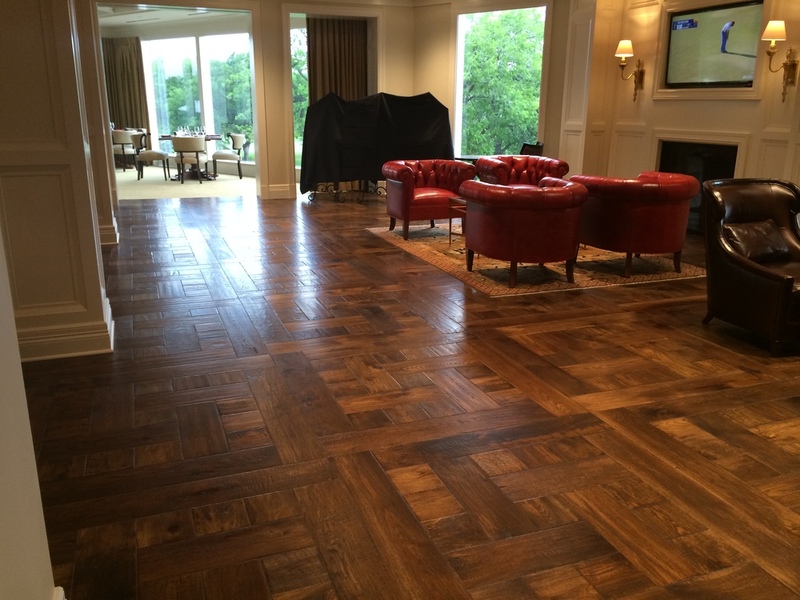 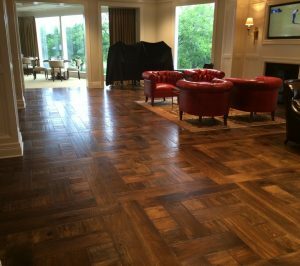 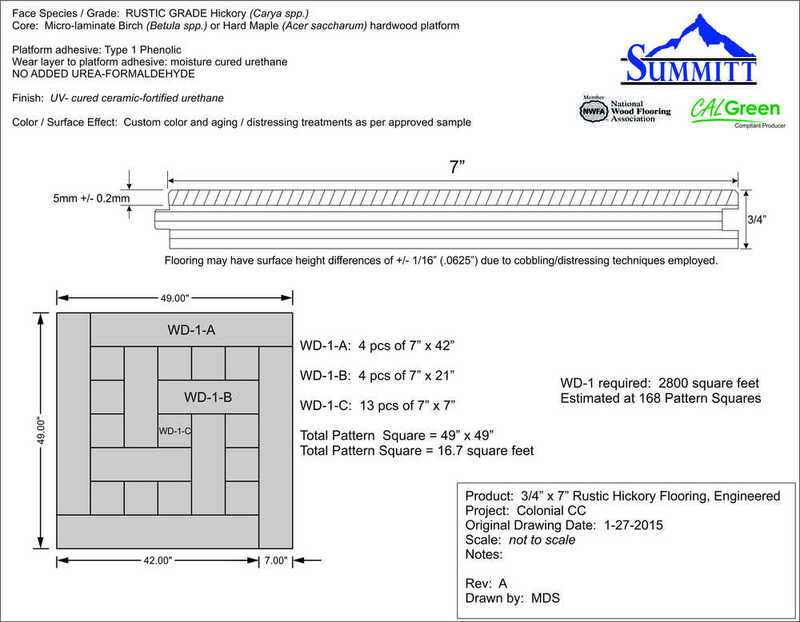 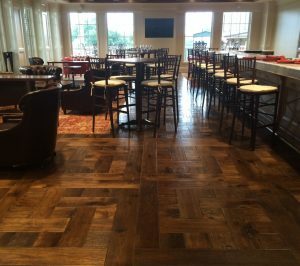 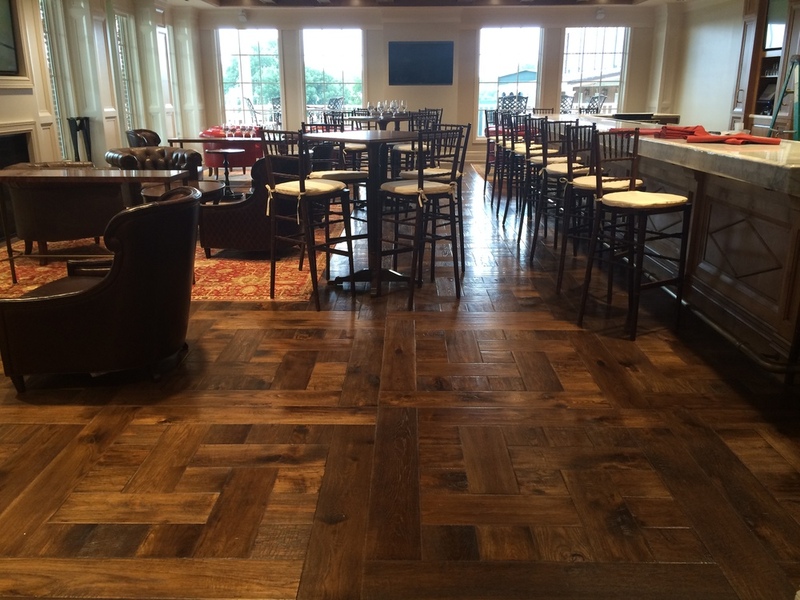 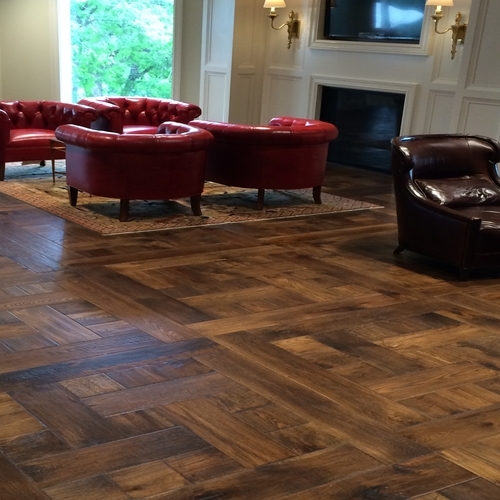 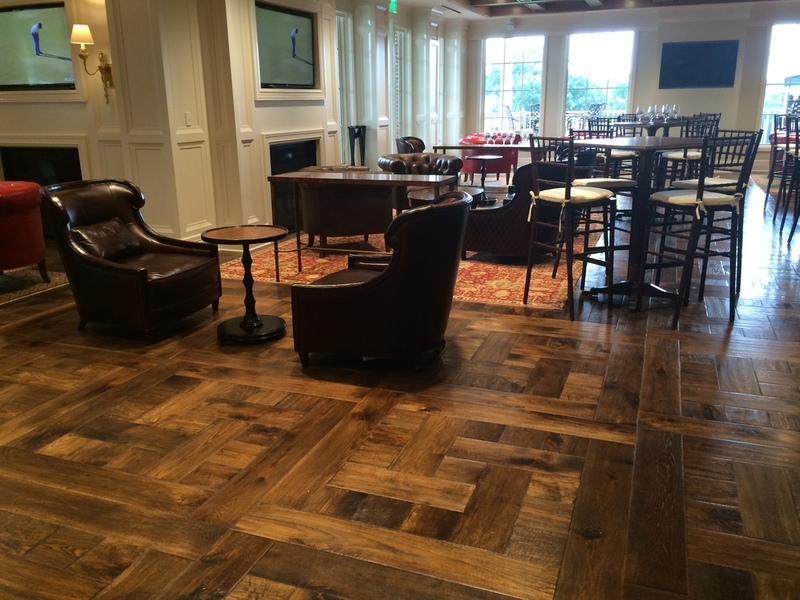 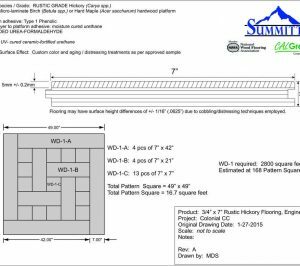 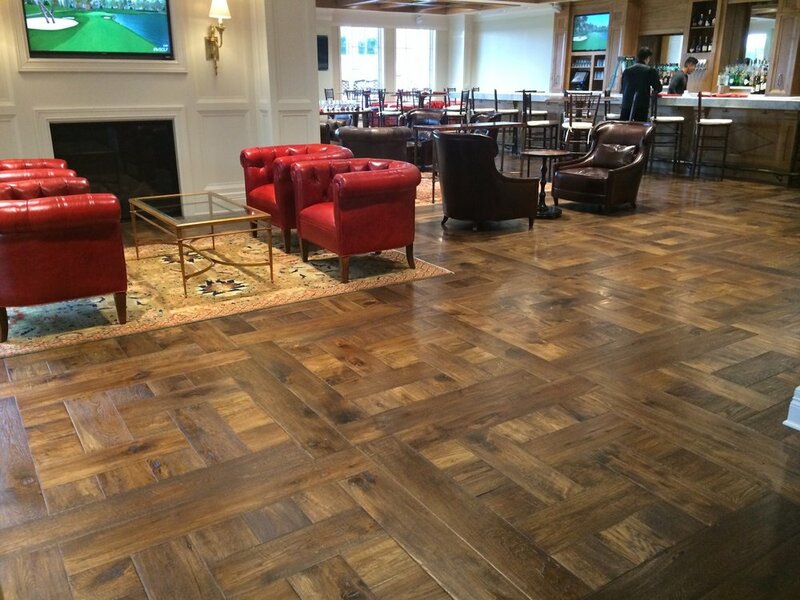 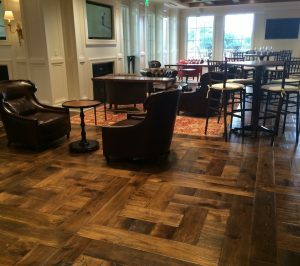 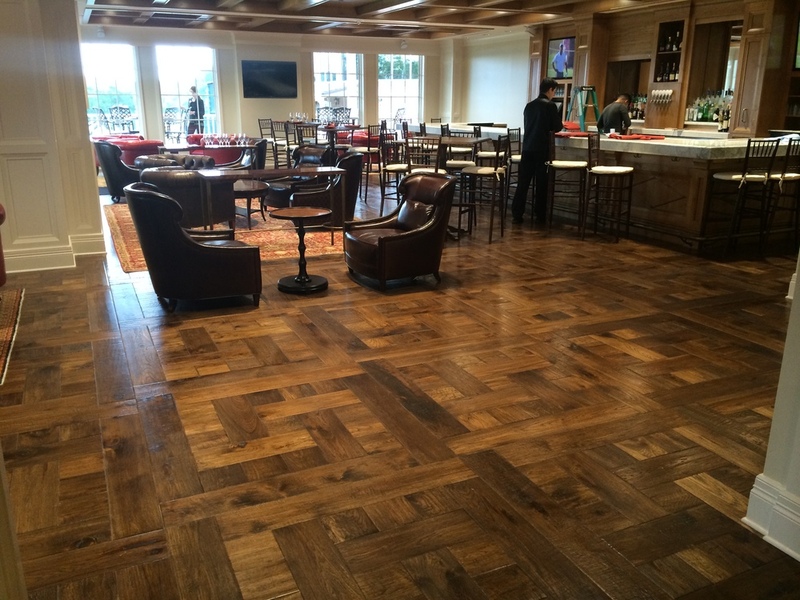 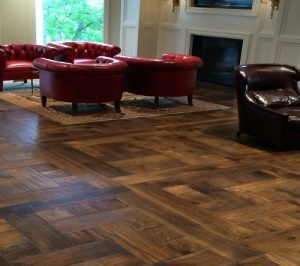 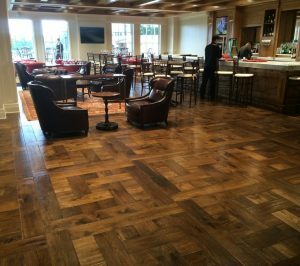 SUMMITT FOREST PRODUCTS WAS CALLED ON BY MARSH AND ASSOCIATES ARCHITECTS (HTTP://MAI-ARCHITECTS.COM/) TO CREATE A CUSTOM FLOOR FOR THE COLONIAL COUNTRY CLUB IN FORT WORTH, TX. 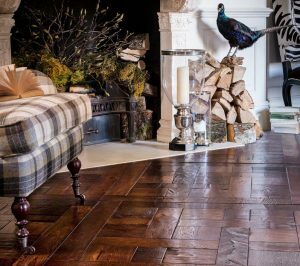 FOR INSPIRATION WE WERE GIVEN A SINGLE PHOTOGRAPH OF A CENTURIES-OLD FLOOR IN A SCOTTISH COUNTRY LODGE. 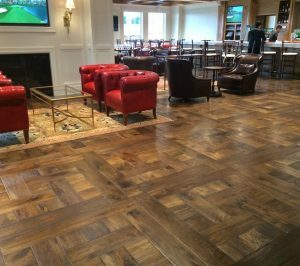 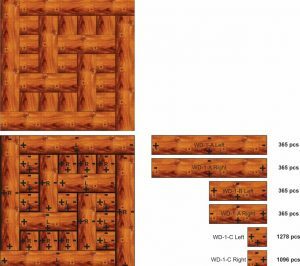 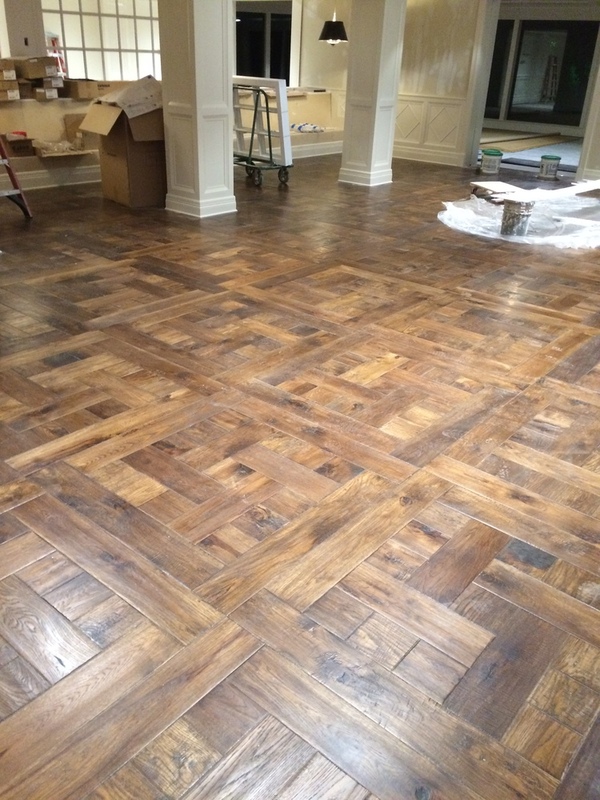 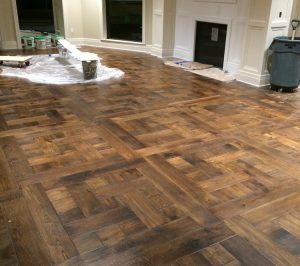 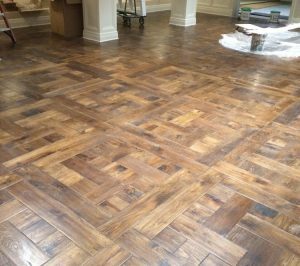 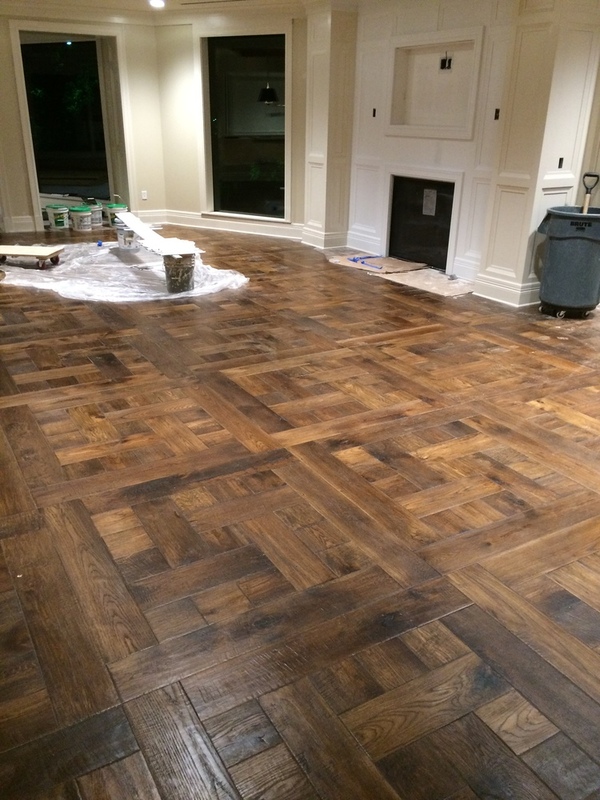 WITH THE CROWNE PLAZA COLONIAL OPEN RIGHT AROUND THE CORNER, WE PULLED OFF A NEAR-MIRACLE: AN ENORMOUSLY COMPLEX MULTI-TREATMENT HAND-DISTRESSED CUSTOM-COLOR PATTERNED FLOOR, IN 6 WEEKS FROM START TO FINISH. 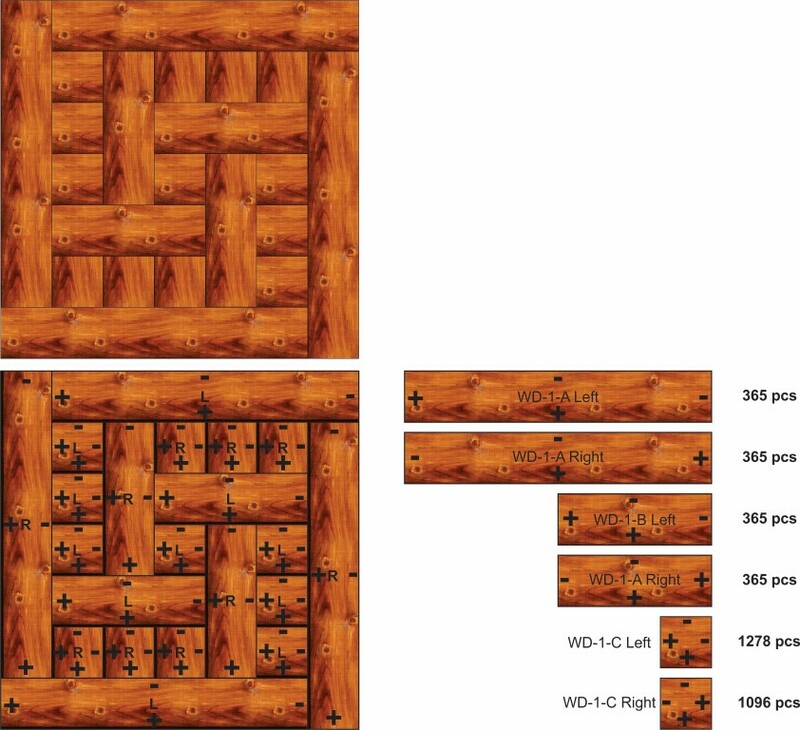 SPECIAL THANKS TO MARSH AND ASSOCIATES AND KIP WADLEIGH FROM WADLEIGH TILE.